Lake Easton State Park is a 697-acre (282 ha) Washington state park in Kittitas County. 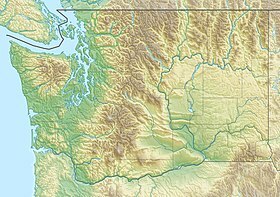 The park sits in the eastern foothills of the Cascade Range and has 24,000 feet (7,300 m) of shoreline on Lake Easton. Park activities include picnicking, camping, hiking, mountain biking, boating, fishing, swimming, cross-country skiing, snowmobiling, wildlife viewing, and horseshoes. ^ a b "Lake Easton State Park". Geographic Names Information System. United States Geological Survey. ^ "Lake Easton State Park". Washington State Parks and Recreation Commission. Retrieved November 6, 2018. Wikimedia Commons has media related to Lake Easton State Park. This page was last edited on 12 November 2018, at 04:40 (UTC).